I have a special interest in the Axis Empires series (Dai senso and Totaler Krieg) because they offer something different. These features include notorious differences when compared to most of grand strategy games such as Advanced Third Reich, Supreme Commander, Unconditional Surrender or Pacific War. The main difference, in my opinion, is the immersion induced by a myriad of political events and options that are mostly ignored or not covered by other games. If you really like a more dedicate involvement in the political and historical events, this games is really interesting and the best option. Of course, it has a drawback. The rules contain multiple exceptions and it is necessary to consult the manual often to clarify these events. In my opinion, this kind of details adds a lot of flavor to the game and it can be comparable to some extent to the Hearts of Iron series (computer based game) that also focuses not only in the war but also in diplomacy and politics. The fact that Dai Senso and Totaler Krieg starts in 1937 also helps to visualize the political events that led to the World War II and, of course, offers the possibility to drastically change the History of WWII. 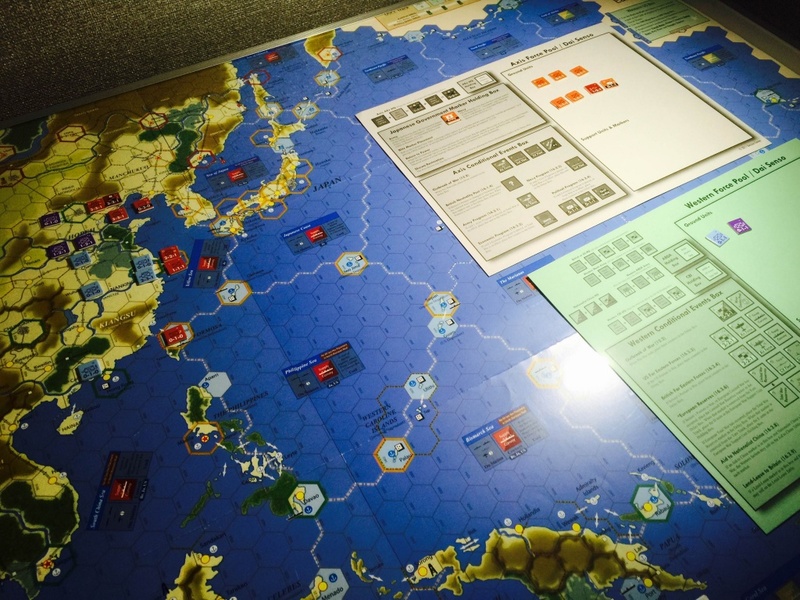 Here, I play the first turn of the Dai Senso scenario called “The China Incident”, a short five turns based scenario that helps to learn the concepts related to card system, ground forces movement and combat, as well as supply rules. 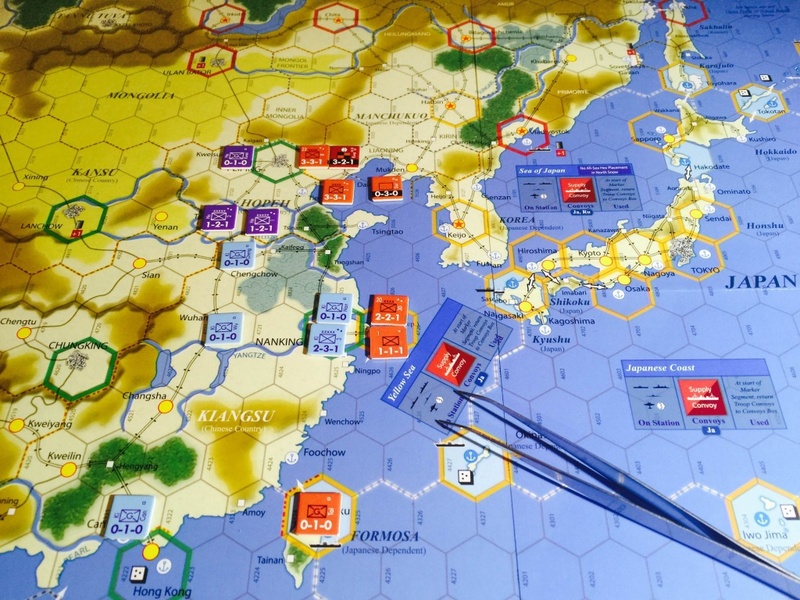 On May-June J937, the game starts (TURN 1) with the Japanese side deploying forces in the border of Hopeh. Victory conditions require the Japanese side to conquer Hopeh (all towns and cities) and keep Shanghai too. Kwantung Army forces are not allowed to penetrate in Hopeh territory therefore, the HQ from Kwantung Army can only provide long distance support. The 1st and 2nd Japanese Armies (in fact historically corps size units) are Japanese troops therefore, they can cross border and attack Beijing, simulating the historical Marco Polo Bridge incident. Let me know if you have some hints on the opening movement/invasion !